Happy Wednesday! I thought this week would be less busy but I was wrong. Oops! There's just no such thing as not being busy, especially the last week of school. But I am thankful for this busyness because it's the good kind and I know I'm right where I'm supposed to be. Isn't that such a good feeling?! Yesterday, while I was working at the coffee shop, I parked my car in a two hour parking zone... for four hours. Yep, definitely didn't look at that sign right beside of my car so when I returned to my vehicle, a police officer was writing me my very first ticket of any kind. I am thirty-two and this is my first ticket and I'm just glad it was only a five dollar parking citation. The rule follower in me was so disappointed in myself, lol! Rules are meant to be followed, always. If you know me in real life, you know passionate I am about this, haha! 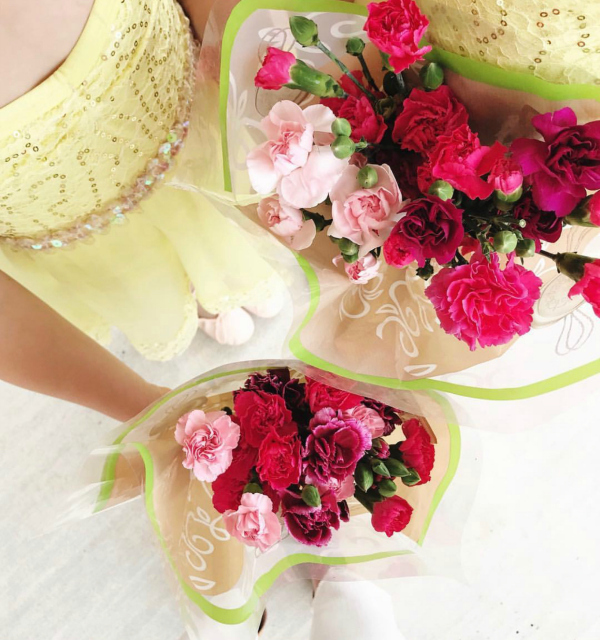 Today, I'm sharing an my weekly Instagram Roundup, which includes daily outfits, outfit inspirations, and some dressing room picks that I shared last week. 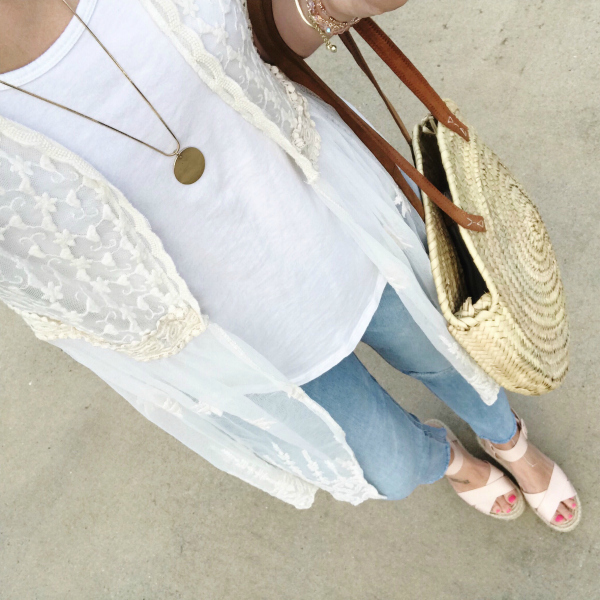 One of my favorite outfits to wear is a colorful kimono with a white tee and denim. 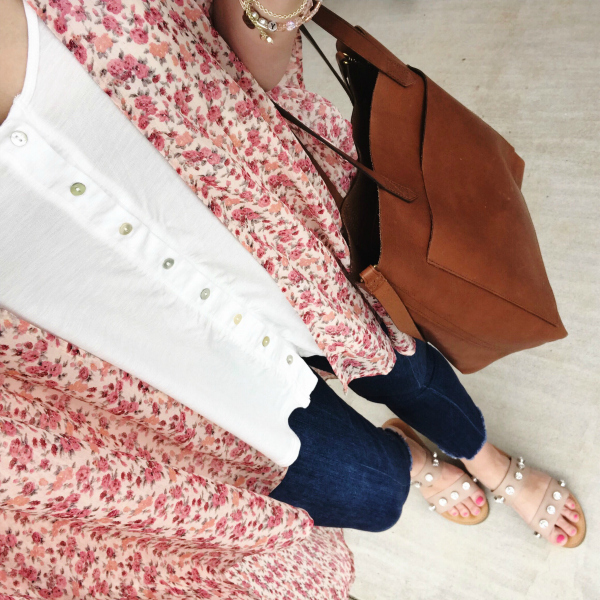 It's such an easy an comfortable look! I am loving this new kimono! 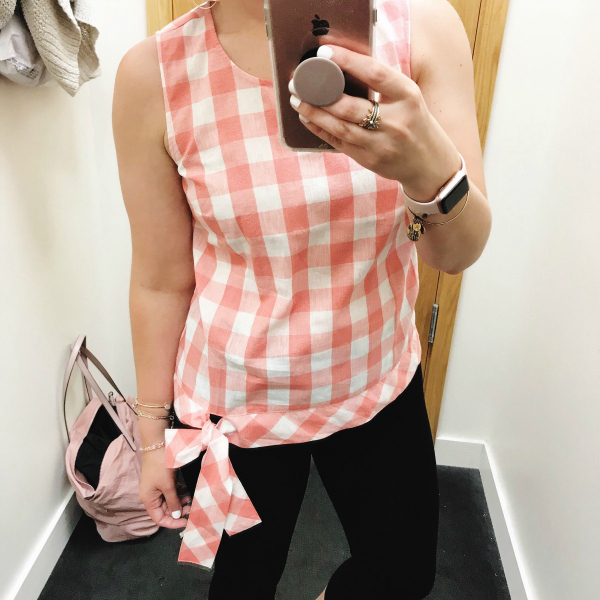 How fun is this top?! 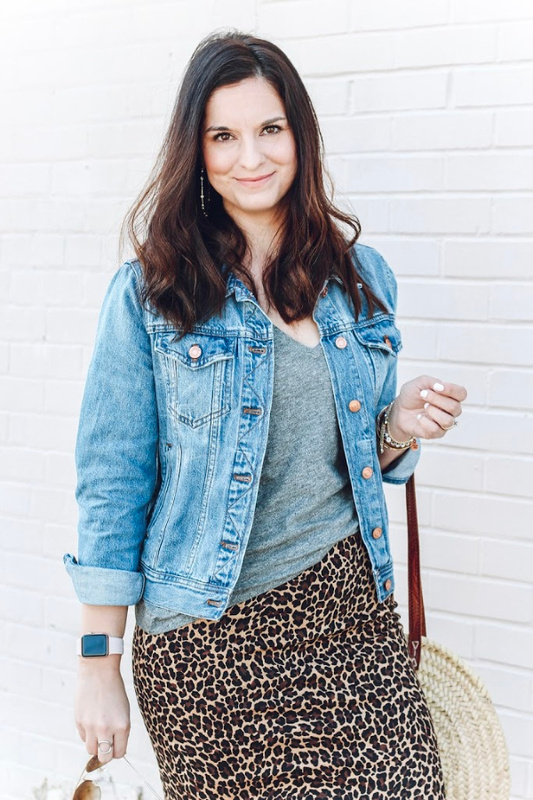 I styled it here on the blog last week in this post. It's definitely one of my favorite tops that I own right now. I sized up to a medium for the best fit. When I walked into the store, this top immediately caught my eye! I love the gingham print, the color, and the cute side tie. I sized up to a size six for the most comfortable fit. Like I mentioned above, a kimono, white top, and denim are my go-to, especially when I'm in a hurry and I'm having one of those "I have nothing to wear" moments, lol. I have recently been loving American Eagle! I tried on all of these great pieces and wanted to take them all home with me. 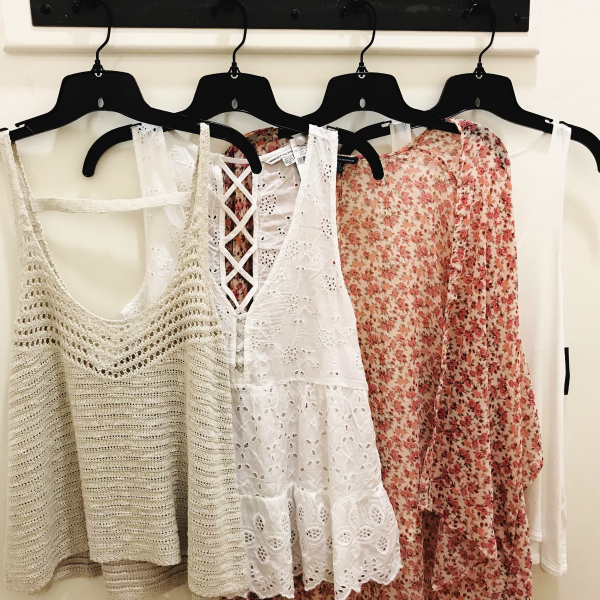 That eyelet top is my favorite! This outfit is probably the closest I can get to pajamas to wear out in public, lol. 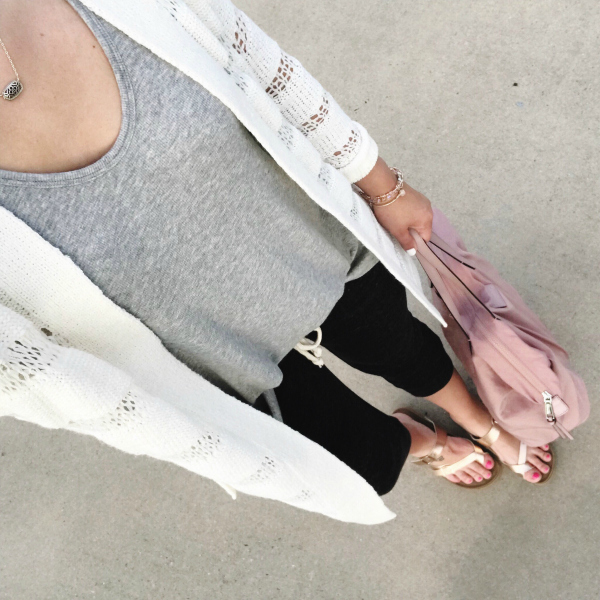 I love an extra comfortable outfit for taking the kids to school and errands.